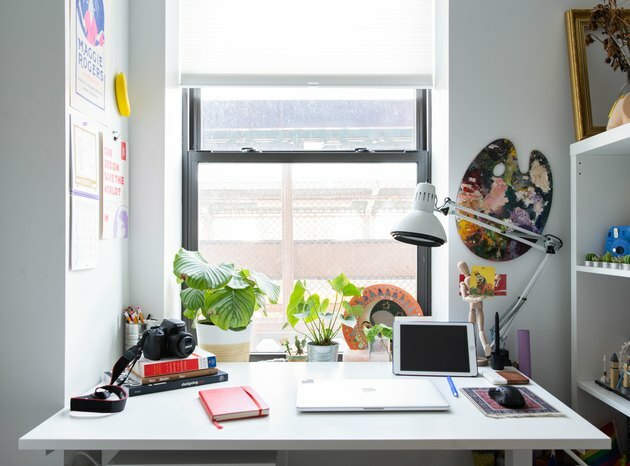 When you live with someone in just 450 square feet, you have to keep things simple. 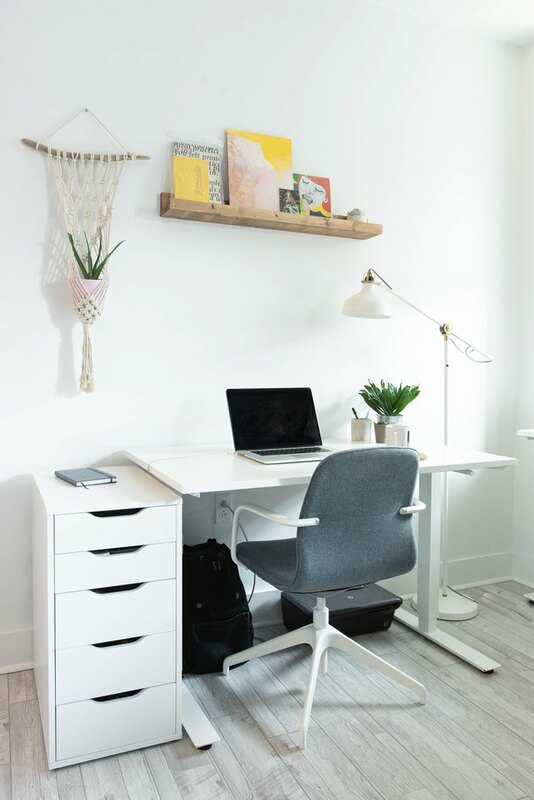 Then layer in a home office for the business that you share, and functionality becomes paramount. 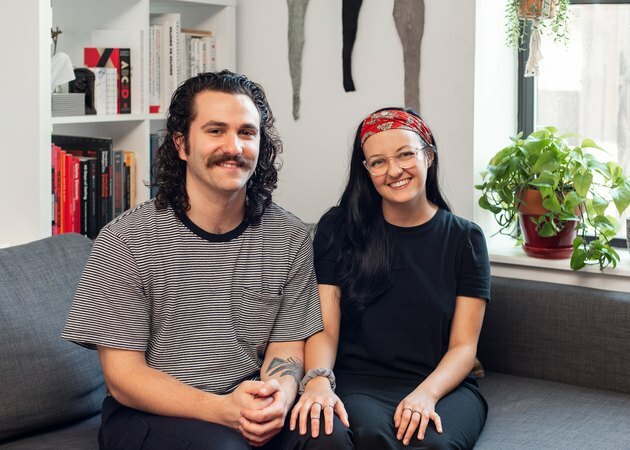 But such issues haven't proven to be a problem for Jennifer Heintz and Mike Wagz, of Philadelphia, who together form the creative branding studio Self Aware. The couple first moved to Philly's booming arts neighborhood, Fishtown, in April 2018, down from Boston, where they met at Northeastern University. "We originally went to Fishtown to see the Kurt Vile mural by Stephen Powers on Front Street," says Heintz. "We immediately fell in love with the creative vibes of the neighborhood." The reasonable rents didn't hurt, either. They chose a freshly-renovated apartment, as opposed to one of the older, historic row houses more typical of Fishtown. "We were a bit wary of the size," Heintz admits. "The real selling point was the property developers' vision to create a community through events, and both indoor and outdoor common spaces." Having lived in the building for six months, Heintz and Wagz can attest that the vision is paying off. They know almost all their neighbors, and, as homebodies, enjoy the walking lifestyle Fishtown affords them. 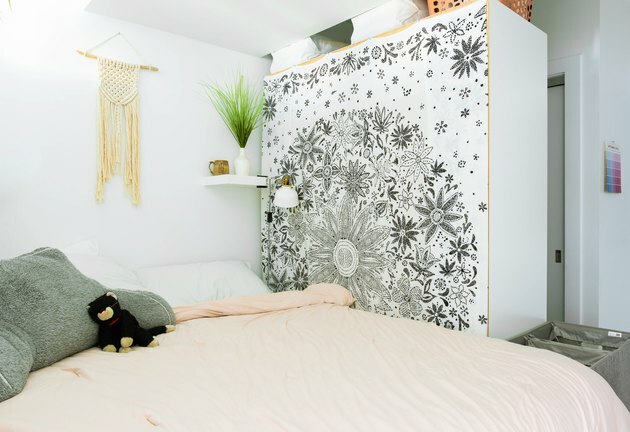 "It feels like an adult dorm at times," she says, "and in the best way possible." 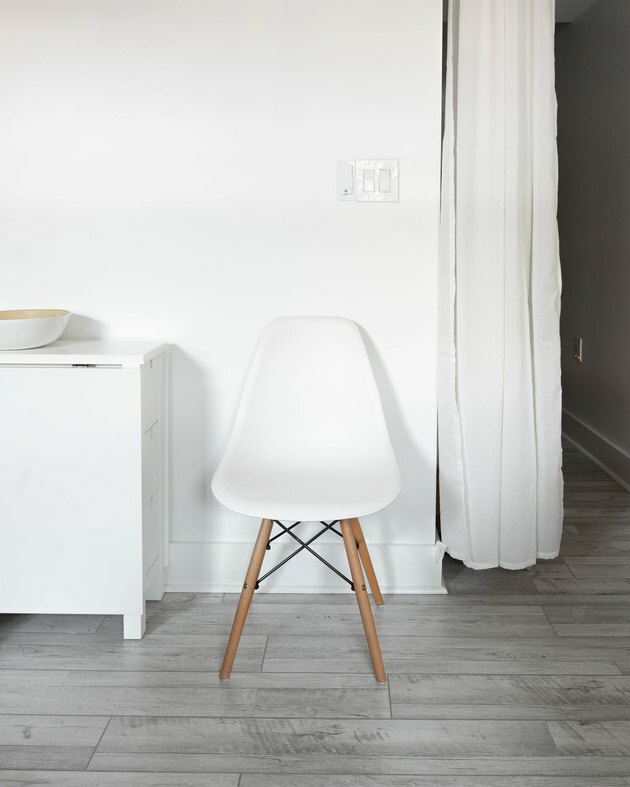 Heintz and Wagz filled the space with simple white furniture, mostly from IKEA. 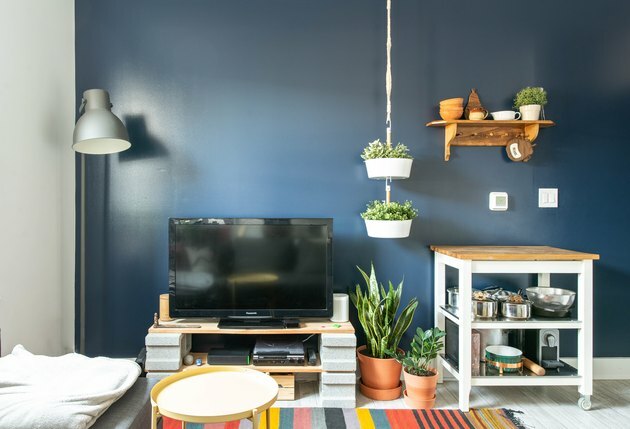 Paired with a strong navy accent wall and bright textiles, there's a lot of life in such small quarters. "We knew we had to be intentional with our decorating decisions in order to keep the space feeling as big and multifunctional as possible," says Heintz. It's an ethos that runs through their digital design and development work as well. "Our design practice is the crossroads of functionality and fun," says Heintz. "We wanted our apartment to prove that a really tiny space can be both multifunctional and beautiful." "We absolutely love our fish leather wall hangings — and all of our guests seem to love them as well," says Heintz. "I got them from a scrap bin at a fish leather factory while I was in Iceland. I had no idea that fish leather was even a thing! 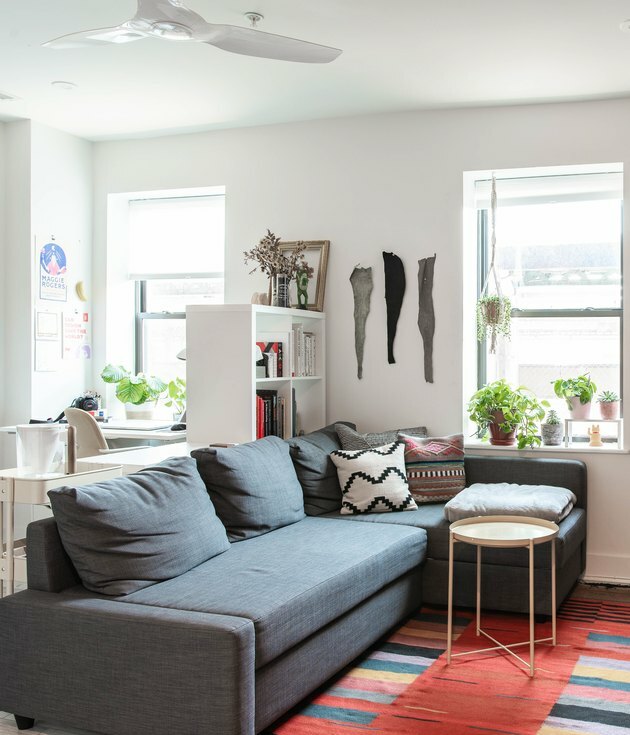 They followed us to our apartment in Boston and then to our home in Fishtown, where they are an even better thematic fit." 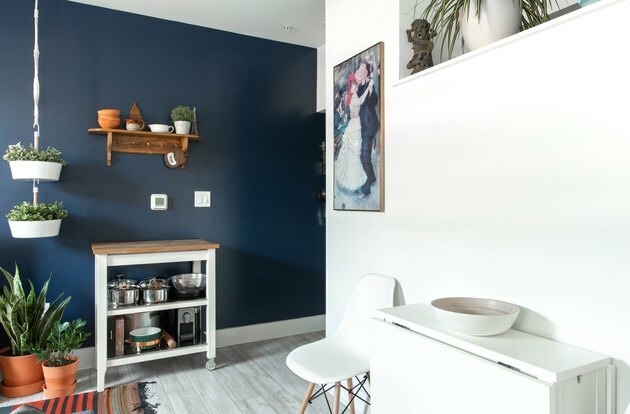 The couples' one major upgrade was to paint an accent wall with Naval by Sherwin Williams. 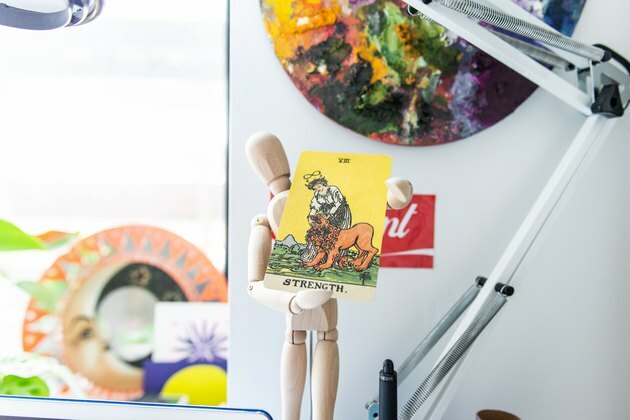 Both Heintz and Wagz fit their own workspaces into the 450-square-foot space. Heintz makes the macrame pieces herself. Heintz and Wagz used a limited palette and modern lines to help make the space seem larger than it is. Keeping things simple wasn't just an aesthetic choice. "We were on a very tight budget having recently graduated college and starting our own business," says Heintz. "A lot of our planters and plants are from a local shop called Stump," says Heintz. Their favorite planter is by Philadelphia artist, Brian Giniewski. "Functionality was the highest priority," says Heintz, "but we also wanted the space to feel light, airy, and playful."